The Fruitland Lions Club celebrated 50 years of service last Saturday night (March 5th) with a big birthday bash! 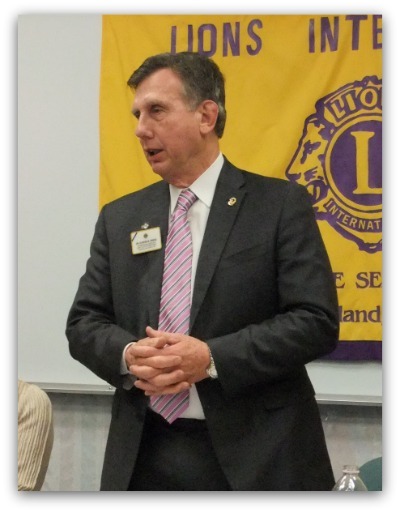 The room was packed to hear International Director Dr. Gene Spiess from South Carolina speak about Lionism. 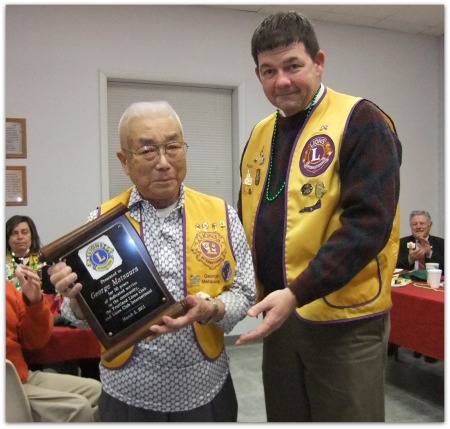 Charter member, George Matsuura, was given special recognition for 50 years of service and counting. Leigh and Ken Simmons were chosen asFruitland's Lions of the Year. It may have been a somewhat dubious honor as they are now responsible for housing the award-brass name plates framed in a large horse collar. Leigh did say they had just the spot for it-"not in the house" but at work. Sounds perfect! 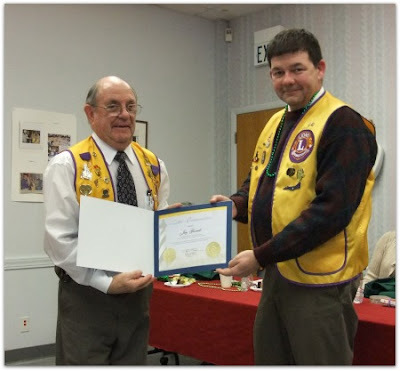 Jay Garrett was selected to receive a Letter of Commendation from International President Sid Scruggs (presented here by Ken Simmons). 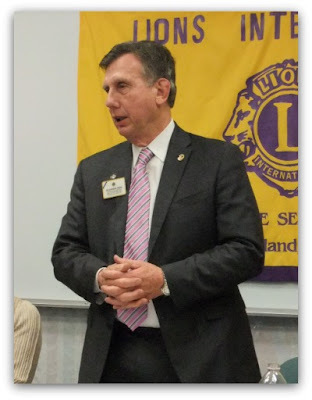 Past International Director Floyd and District Governor Pat made appearances and Fruitland Lions members reminisced. Lion Ed could sell snow to the Eskimos with the practice he had selling raffle tickets for unidentified prizes. Congratulations, Lions! Fruitland is fortunate to have you!